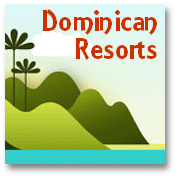 It is a fact of life that hurricanes in the Dominican Republic have occasionally caused problems for locals and visitors alike. 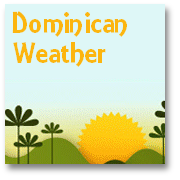 Whilst you should not get too uptight about them "forewarned is forearmed" and we propose a few commonsense measures to consider should you be visiting the Dominican Republic at the time of some of these strong winds. The Dominican Republic has periodically suffered at the hands of hurricanes of various names since the time that the meteorological authorities began to christen them...and well before. 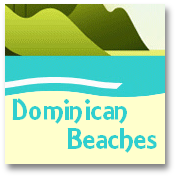 Hurricanes in the Dominican Republic naturally occur during the so-called 'Hurricane season', which runs from June through December – which means that it includes the peak summer months – when many tourists and travelers are on the Island of Hispaniola. It is generally the case that the worst of the storms are experienced in September, October and November. 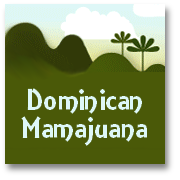 Indeed Hurricanes in the Dominican Republic, for Dominicans themselves are simply seen as a fact of life – and generally taken in their stride. You just 'batten down' your belongings, you stay indoors and you take a 'siesta' whilst it all blows over...then you go out and clean up the mess, do any necessary repairs, and all goes on as normal! Not - Gone with the wind! When you hear that a hurricane is forecast for landfall – then you are best-off moving inland, away from the coast, preferably to a substantial town or city where you can seek refuge in larger, modern building – which should 'weather the storm' well. Naturally – emergency services will also be on hand in such areas too. If you can’t get inland quickly enough – then seek refuge in a larger resort – if you must stay nearer the coast. The modern hotel complexes will have hurricane shelters. They will also have evacuation procedures and be better prepared providing the safest option. In any event get away from beaches, rivers, lakes – anywhere where bodies of water can suddenly swell, and where dangerous mudslides can occur. These devastating natural occurrences accounted for over 1000 deaths in Haiti during the last major hurricane activity on the island. Wherever you take shelter – don’t be too tempted to ‘watch the spectacle' or maybe ‘film your own disaster movie’ from a hotel or other building window. The immense pressure variations, and the frequent large and dangerous pieces of flying debris can lead to potentially shattering and splintering of glass. 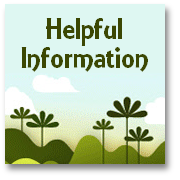 You can also prepare yourself, to some extent, for whether the weather will treat you ill whilst on your vacation, by referring some key meteorological resource web sites such as www.esdim.noaa.gov/weather_page.html before you go!